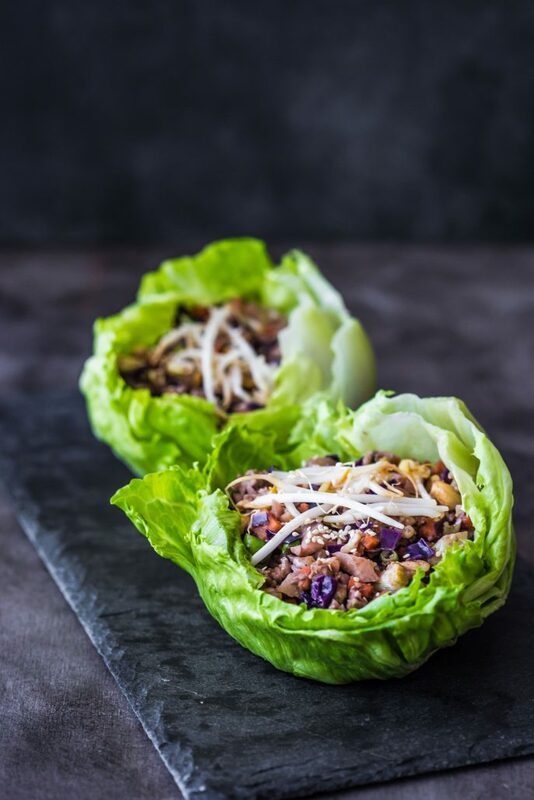 Vegetable Lettuce Cups with a scrumptious hearty filling! These make the most perfect little side dish or I like to personally enjoy them before my main meal. You can choose how big or small you would like your lettuce cups because you can just select a smaller or large lettuce leaf, easy peasy!! This veggie filling is all made in one pot and takes less than 30 minutes! Now that makes for a perfect dinner doesn’t it? It’s super flavoursome thanks to all the tasty Chinese sauces and spices that are used. I also decided to bulk this filling up with a generous amount of chopped cauliflower and tempeh! Enjoy my friends! 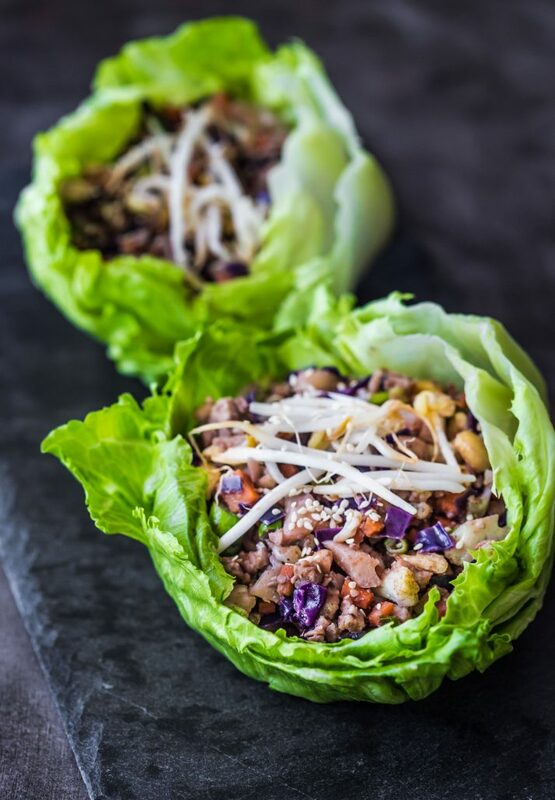 Chop off the stalk and gently peel away each lettuce layer to create lettuce cups, set aside. Melt coconut oil in a medium sized pot or fry pan over medium heat. Add diced onion and sauté until translucent. Stir through diced ginger and cook until fragrant. Add carrot and cauliflower, cook for 3-5 minutes or until just tender. 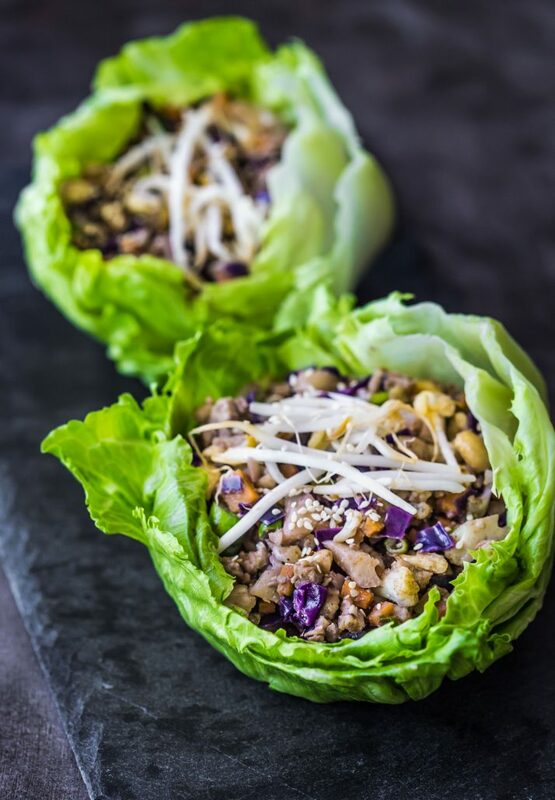 Stir through chopped cabbage, diced tempeh and chopped cashews, cook until cabbage is soft. Stir through spring onion. Add soy sauce, sesame oil, hoisin sauce, five spice, salt and pepper. Cook mixture for a further 3 minutes or until all vegetables are tender. Add more soy sauce if desired, taste test the mixture and adjust. 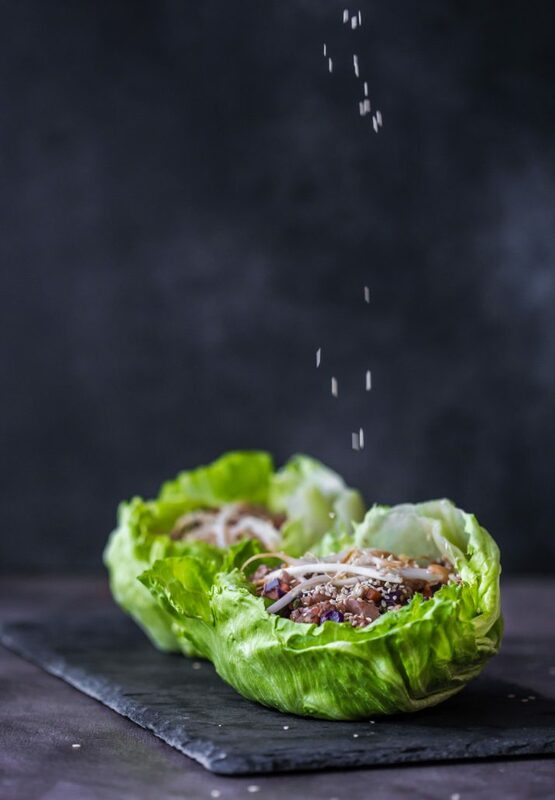 Remove mixture from heat and spoon desired amount of filling into lettuce cups. Top cups with bean shoots, sesame seeds and a drizzle of soy sauce. Store extra filling in an airtight container, refrigerated, for 2-3 days.